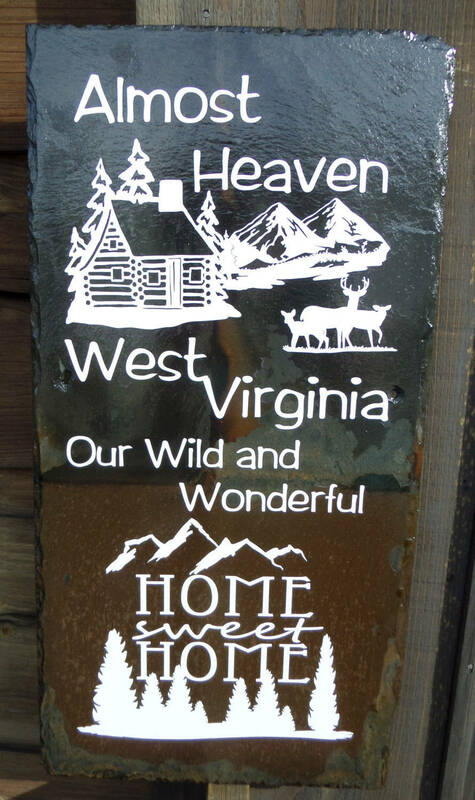 This authentic roof slate is from a home in Spelter, West Virginia! 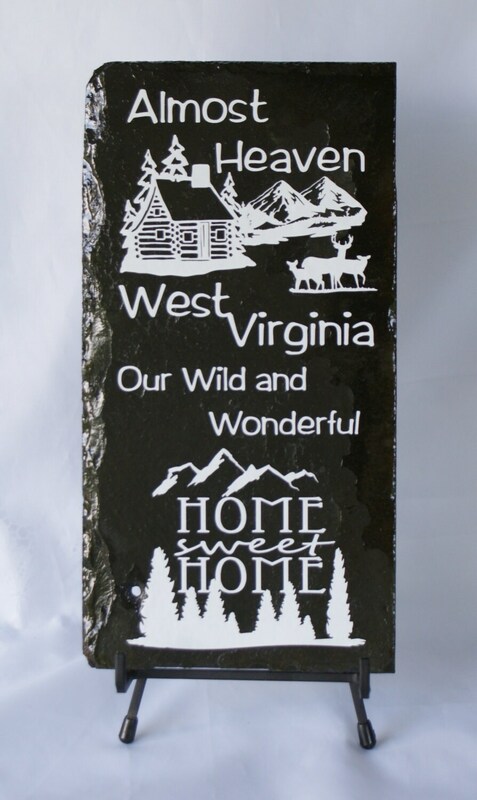 We have used an original design, by Three Dames Dreamin' LLC, to make this slate something really special! 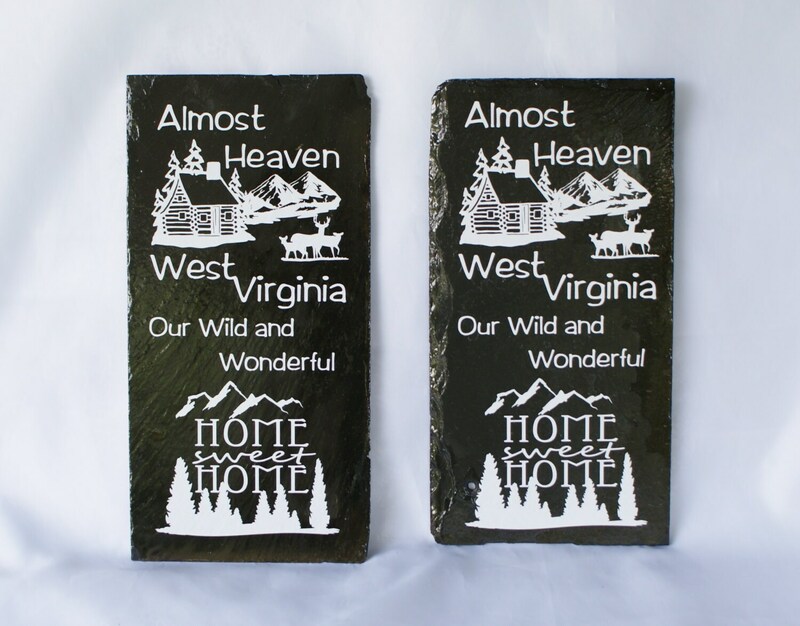 Because our slate are authentic, no two are alike. Color variations and edge and surface irregularities are to be expected and are part of what makes each slate unique. 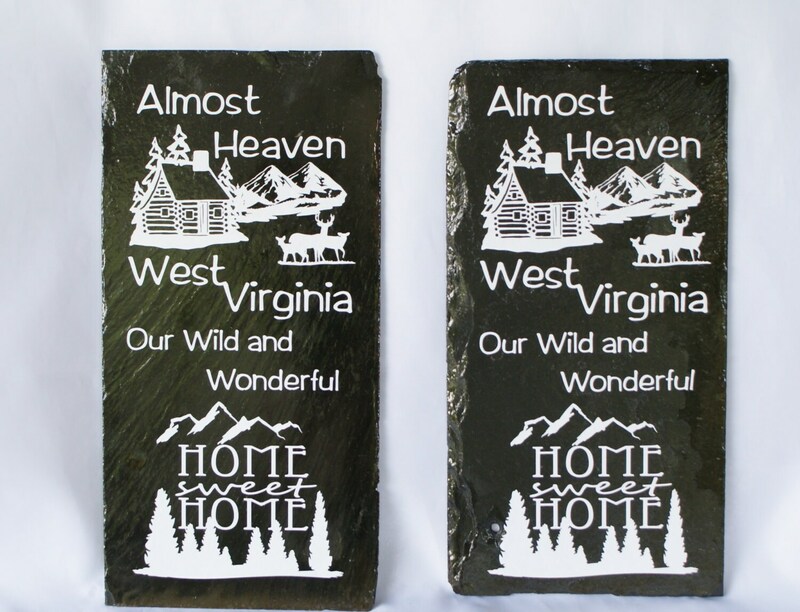 These beautiful slate may be displayed indoors or out. 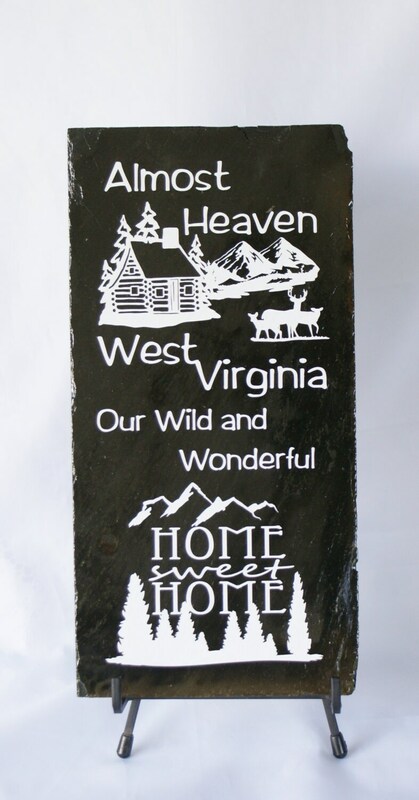 These slates measure approximately 5-3/4 x 11-3/4". You can add your own personal touch, such as a leather lace, a piece of prim, bailing twine or anything else that will fit through the nail holes on each side. If you prefer, you can display it on an easel. We will drill two holes in the upper corners, if desired before shipping this piece. Let us know in a convo if you would like holes to hang them. This size is especially nice on an easel too. I have added two pictures as an example of how they may also have nail holes, which do not interfere with the design. The first does not have a nail hole, the second has one at the bottom, just to the left of the tree graphic. Please contact me with any questions you may have or to give me your preference when ordering.